With an ever increasing member’s base every day, Facebook is certainly one of the most vital platforms being utilized by all categories all around the globe. To keep its users tagged with them, Facebook rolls out newer add-ons and the latest one being Facebook Live. 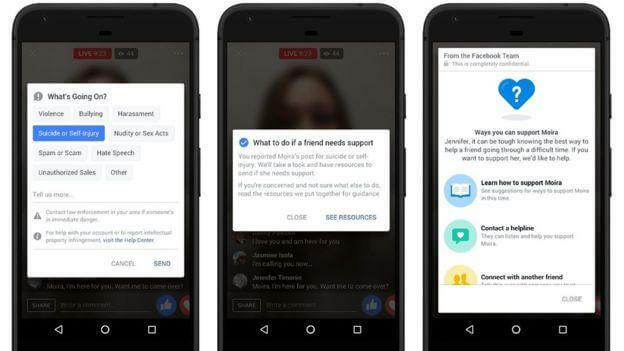 Though this feature helps a user in engaging into live streaming over Facebook, it has grown into a suicide spot for many cases. Seeing this behavior, Facebook has taken a safety measure by providing a pattern-recognizing behavior for such cases. Upon analyzing if such case is found, Facebook provides the at-risk user with various resources ranging from contacting a friend to proffering him with tips to diminish depression-like-behaviour. This real time response system has been engaged in using the behavioral analysis of users involved in such incidents. Although this feature seems new, the initiative to eradicate the cause of most deaths is certainly appreciable!